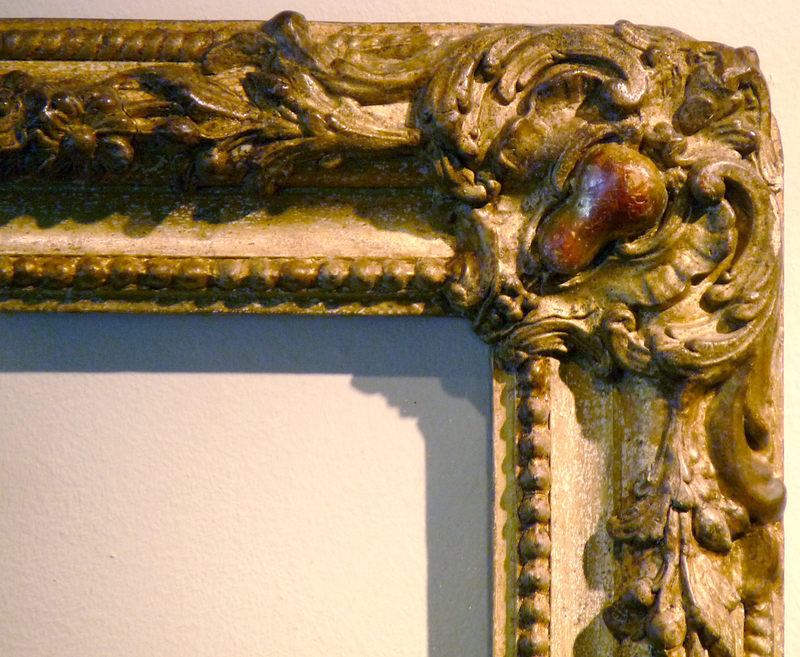 Galleria Scola can restore your damaged heirloom frame to its original state. See before and after examples below. 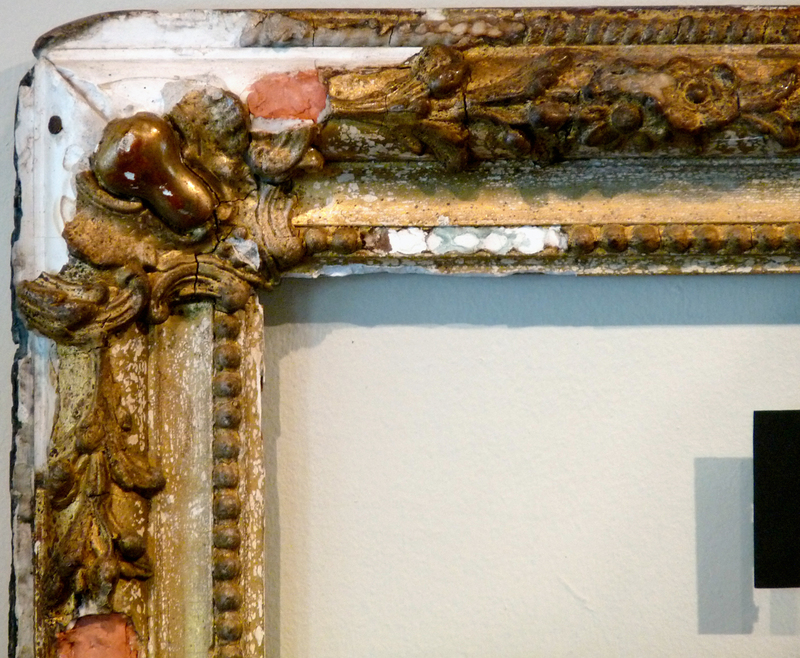 This shows the damage before restoration. 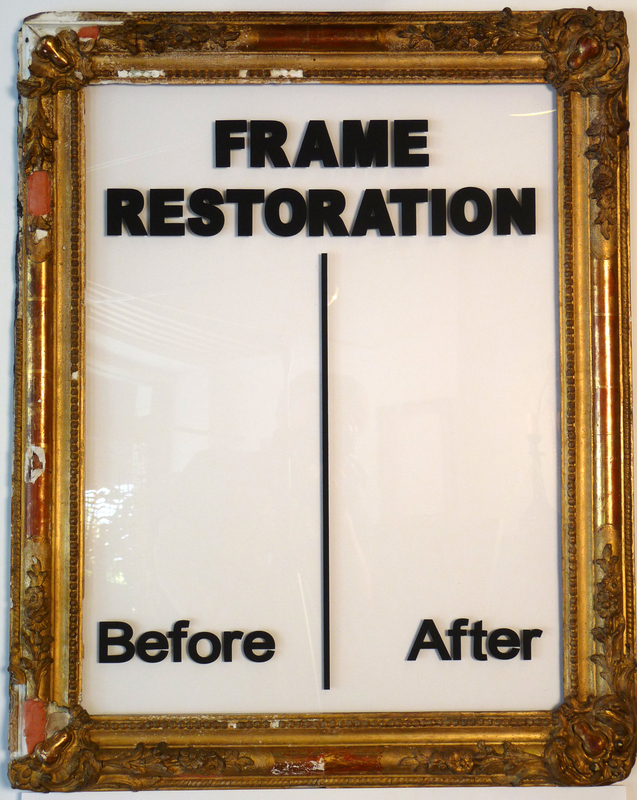 The right side shows after restoration.